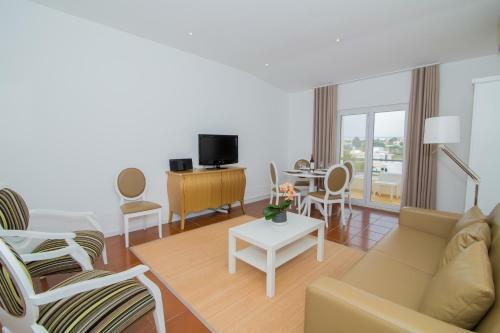 Set 3.6 km from Albufeira and 34 km from Lagos, Casa Pluma offers accommodation in Sesmarias. It provides free private parking. Free WiFi is provided throughout the property. There is a seating area and a kitchen as well as a private bathroom. Set in Albufeira, Casa dos Pinheiros Sesmarias features a garden with an outdoor pool and a barbecue. Free WiFi is provided. The villa has four air-conditioned bedrooms and one has an en suite bathroom. Offering an outdoor pool surrounded by lush gardens, Apartamentos dos Pinheiros offers free public parking in Sesmarias, 500 metres from Coelha Beach. It is located a 5-minute drive from Albufeira. Casa Quatro Ventos is a villa featuring a garden with a year-round outdoor pool, located in Sesmarias. The property is 3 km from Albufeira and boasts views of the sea. Free WiFi is provided and free private parking is available on site. Located in Albufeira, 600 metres from Coelha Beach, the Apartamentos O Marinheiro offer access to an outdoor pool and a restaurant. This self-catering accommodation features free WiFi.